Sanne Magnan MD, PhD is the co-chair of the Roundtable on Population Health Improvement of the National Academies of Sciences, Engineering and Medicine. She is the former President and CEO of the Institute for Clinical Systems Improvement (ICSI) (2006-2007; 2011-2016). In 2007, she was appointed Commissioner of the Minnesota Department of Health by Minnesota Governor Tim Pawlenty. 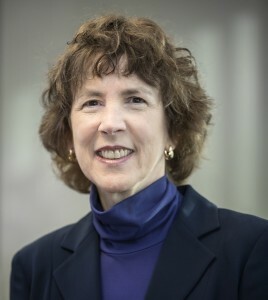 She served from 2007 to 2010 and had significant responsibility for implementation of Minnesota’s 2008 health reform legislation, including the Statewide Health Improvement Program (SHIP), standardized quality reporting, development of provider peer grouping, certification process for health care homes, and baskets of care. Dr. Magnan was a staff physician at the Tuberculosis Clinic at St. Paul – Ramsey County Department of Public Health (2002-2015). She was a member of the Population-based Payment Model Workgroup of the Healthcare Payment Learning and Action Network (2015-2016) and a member of the CMS Multi-sector Collaboration Measure Development Technical Expert Panel (2016). She served on the board of MN Community Measurement and the board of NorthPoint Health & Wellness Center, a federally qualified health center and part of Hennepin Health. Her previous experience also includes vice president and medical director of Consumer Health at Blue Cross and Blue Shield of Minnesota. Currently, she is a Senior Fellow with HealthPartners Institute, adjunct assistant professor of medicine at the University of Minnesota and a member of Epic’s Population Health Steering Board. Dr. Magnan holds a M.D. and a Ph.D. in medicinal chemistry from the University of Minnesota, and is a board-certified internist.